"Why am I here at Quaker Meeting?" Amy Brier led this forum. Attending were Susan Becker, Marc Brier, Amy Brier, Amy Dawson, Graham Dawson, Kert Kadyk and Alice Walking. 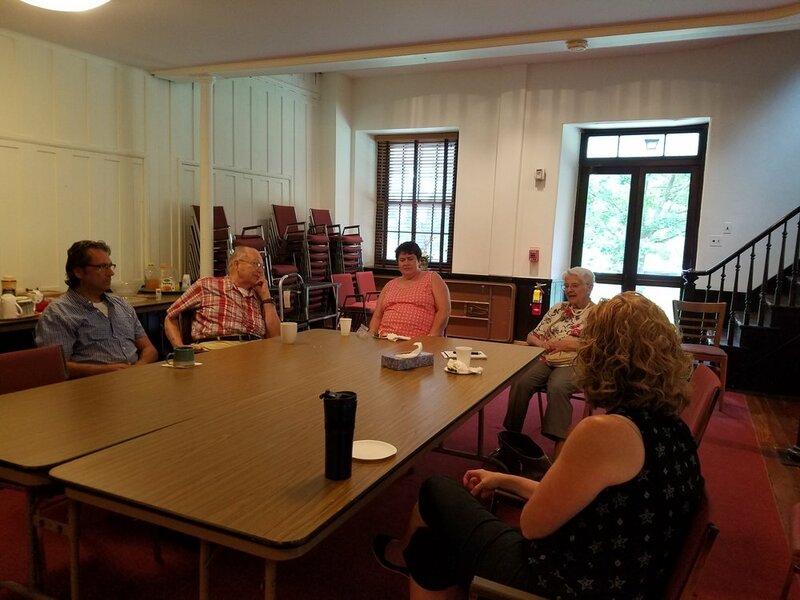 We shared our personal histories with Quakerism. We exposed a wide diversity of backgrounds (3 raised as Catholics, 1 as Christian Scientist, 1 atheist, 1 son of a Presbyterian minister, and 1 Quaker) and how we found our way to be Quakers.